To View the "Fun With Kids" Pictures from 2015, click on the red button above. 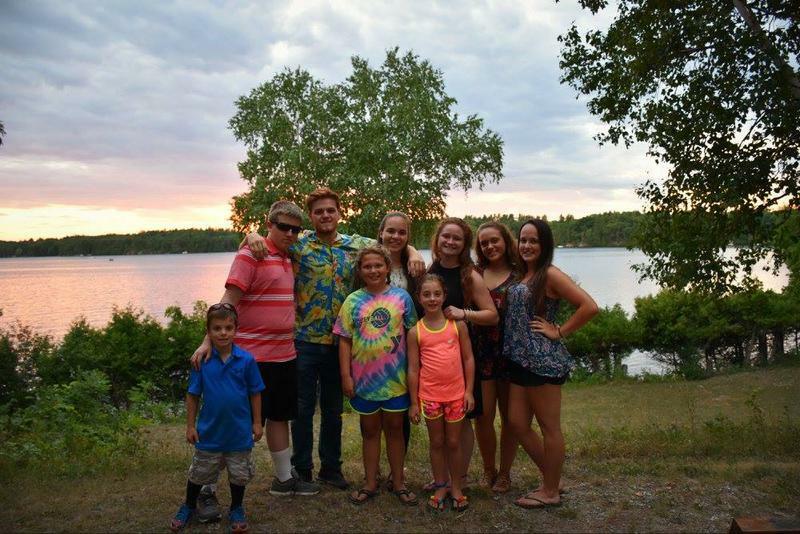 Best friends, siblings and cousins love getting together every summer at the lake! 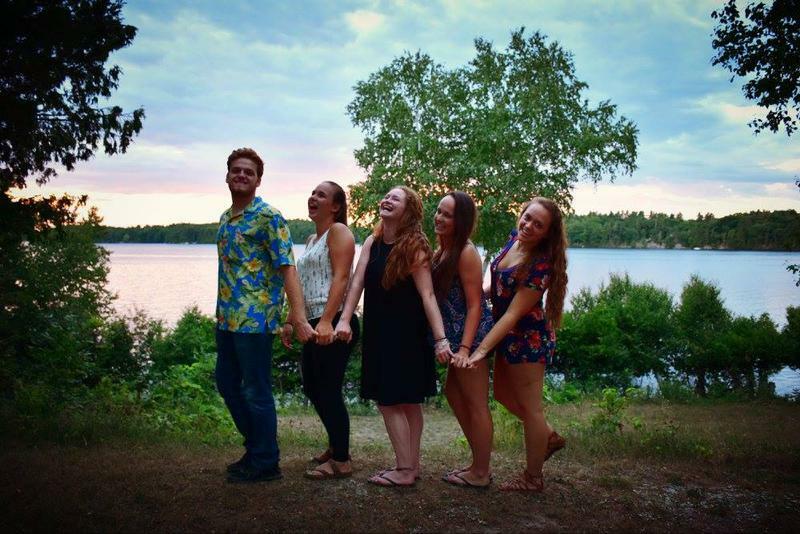 The teens: Steven, Alaina, Kiersten, Megan and Nicole ! Rebecca, Alaina, Megan, Ben, and Michael love the fish and the gathering of friends. 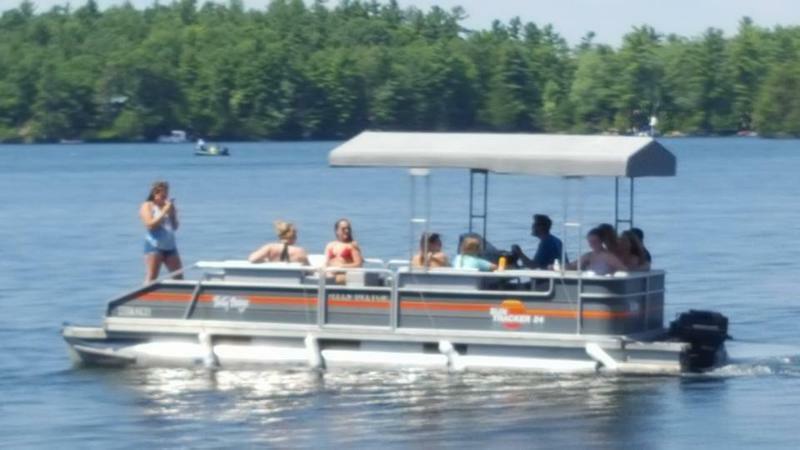 All the kids pile on the pontoon boat and head up the lake to "jump rock!" Just have fun and stay safe! Michael, Steven, Jared, Nick, Caleb and Jakob enjoy a week at the lake before all going off to different universities. Tricia and Mary and a bunch of their cousins enjoy a weekend at the cottage. They loved their floating "island." A great way to spend a summer afternoon for Alaina, Nicole, Kiersten and Megan. By land or by sea, Shane and Tanner have a great time together with their boats. 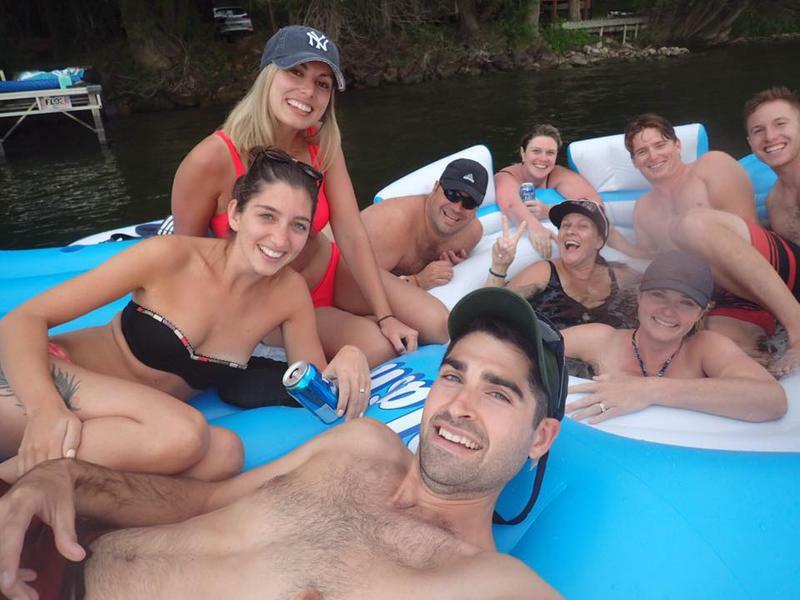 It's tough being on vacation at the lake with all my family. Sure glad Grandma and Grandpa brought my wagon so I could take a nap. Ethan just plain ran out of steam. Sister, Maddie, keeps watch while Ethan naps. So, what should we do now? How about we build a new, BIGGER, fish cleaning table? Great idea! All hands on deck for the design stage. While the building is going on, Jakob, Alaina, and Granddad clean out, level up and get the new location for the table ready. This is how Alaina trains for her swim team. She ties the kayak to her waist and then swims across the lake, down the far shore, then back across, and then home---a couple of miles, around the lake. Someone always follows her in another boat. We sure want her safe! 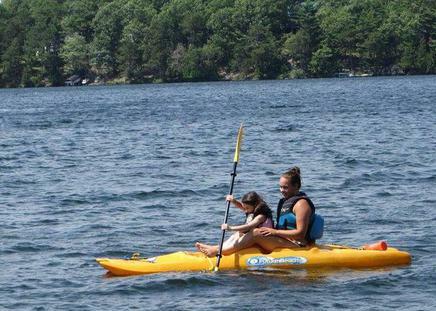 Alaina teaches Audrey how to use the kayak. Right of passage-- Finn who is 12, gets a lesson in driving the golf cart from Ed. All the kids always love being able to drive. It was sad to see our great big trees cut down but Steven makes good use of the stump as he sits and waits for the sunset so he can get a good picture.